Kia Motors Europe has revised the WLTP range figure for its forthcoming e-Niro SUV as it says the previously published figures had been incorrectly supplied by the independent organisation. The revision – which shows how problematic the switch to the WLTP cycle is proving for carmakers – sees the official WLTP range for the higher-spec 64kWh model fall from 301 miles to 282 miles for the e-Niro. Meanwhile, the range for the lower-spec 39.2kWh model falls from 193 miles to 179 miles; although it’s not expected that this model will come to the UK. 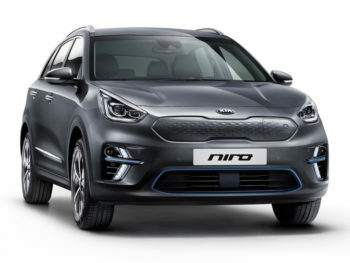 In a statement, Kia said independent organisation overseeing the homologation process for the e-Niro accidentally provided an incorrect testing methodology and then approved the results it generated. This led to the e-Niro being tested for a disproportionate length of time on the WLTP ‘urban’ cycle (comprising lower overall vehicle speeds and a reduced energy requirement), resulting in an overestimation of the vehicle’s all-electric range. Kia added that the inconsistency in the test cycles had been identified due to its ongoing homologation work for another new Kia electric vehicle. It added that no other Kia vehicles were affected by this issue although it’s uncertain whether there will be any changes for sister brand Hyundai’s Kona Electric crossover, which uses the same batteries. Kia added that it was in touch with customers who may have already ordered a new e-Niro to explain the discrepancy.